DeepMind's artificial intelligence system appears to diagnose eye disease as accurately as leading human specialists, according to new research published in the journal Nature Medicine. Developed by researchers from Moorfields Eye Hospital National Health Service Foundation Trust, University College London (UCL), and DeepMind Health, the AI system can read complex eye scans and refer patients for further treatment, recognizing more than 50 eye conditions including glaucoma and diabetic retinopathy. “The number of eye scans we’re performing is growing at a pace much faster than human experts are able to interpret them. 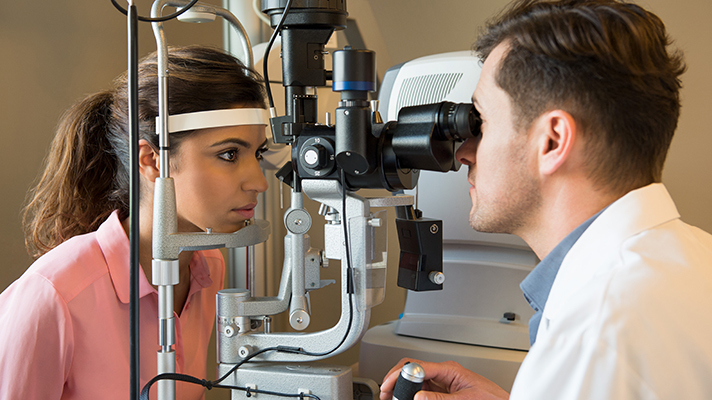 There is a risk that this may cause delays in the diagnosis and treatment of sight-threatening diseases, which can be devastating for patients,” Dr. Pearse Keane, consultant ophthalmologist at Moorfields Eye Hospital NHS Foundation Trust, said in a statement. In the study, the researchers found that the system made the right referral recommendation in more than 94% of cases after training on 14,884 scans. “The AI technology we’re developing is designed to prioritize patients who need to be seen and treated urgently by a doctor or eye care professional," Keane said. “If we can diagnose and treat eye conditions early, it gives us the best chance of saving people’s sight. With further research it could lead to greater consistency and quality of care for patients with eye problems in the future." The system — which also allows clinicians to scrutinize the recommendations made, enabling them to understand why certain results were generated — can be applied to different types of eye scanners, not just the one that it was trained on at the Moorfields trust. But before it can be used in clinical practice, it would have to be turned into a platform that would then need to go through clinical trials and regulatory approval. If the technology is validated, however, DeepMind Health says clinicians at the trust will be able to use it for free across 30 of their UK hospitals and community clinics for an initial period of five years. “I am in no doubt that AI has a vital role to play in the future of healthcare, particularly when it comes to training and helping medical professionals so that patients benefit from vital treatment earlier than might previously have been possible,” Sir Peng Tee Khaw, director of the NIHR Biomedical Research Centre at Moorfields Eye Hospital NHS Foundation Trust and UCL Institute of Ophthalmology, said in a statement. DeepMind Health said it "significantly" invested in turning the original dataset held by the Moorfields trust into a machine learning, AI-ready format. DeepMind describes it now as "one of the best AI-ready databases for eye research in the world," which the trust owns as a non-commercial asset and already is using in nine different medical research studies. Dr. Dominic King, medical director at DeepMind Health, previously explained the benefits of his company's partnership during a House of Commons Science and Technology Committee evidence session, part of the algorithms in decision-making inquiry. “This is hugely exciting and exactly the type of technology which will benefit the NHS in the long term and improve patient care — that’s why we fund over a billion pounds a year in health research as part of our long-term plan for the NHS."